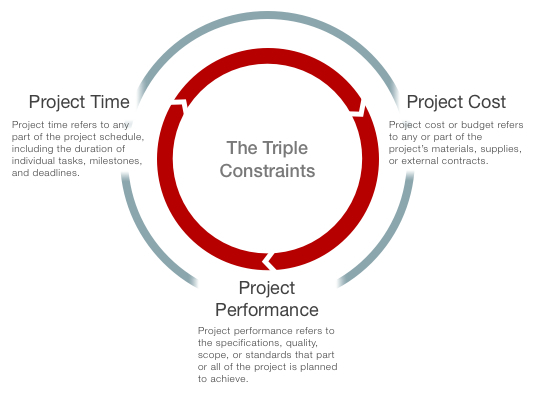 In the project management arena, the infamous triple constraint is comprised of time, cost, scope with quality found in the center of this often depicted triangle. Seasoned Project Managers understand that the true key to project success comes from controlling these elements in a manner that brings balance to each of them, without a lot of sacrifices. But what is the triple constraint that a growing organization faces? Is it the same as the project management model? No, it is not. However the project management philosophy of identifying and managing to the triple constraint does provide us with a good method to employ when we look at internal company operations. For many companies, balancing assets, people and data is the operating triple constraint that they face. To tackle this, operational units must first identity how they are operating today. By identifying current company assets, companies are better positioned to understand how they can dominate the market in which they operate. Furthermore, the people crunch continues to be felt by the O&G industry, knowing what your people strengths are and how to best exploit them can lead to greater employee satisfaction and morale. Lastly, comes data. In an information centric world, many take for granted the large amount of complex data that a company can generate. Harnessing that data will allow companies to better prepare for the future by studying the trends that are present in the now and from the past. Data is only as good as what is done with it, having it sit around in databased, out of reach, benefits no one.